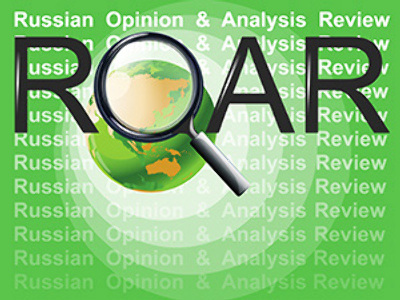 This Thursday ROAR presents Russian experts’ views on nuclear disarmament, and opinion articles on different angles of the global economic crisis. The Director of the Center for International Security of the Institute of the World Economy and International Relations Aleksey Arbatov writes in NEZAVISIMAYA GAZETA that the Russian media has recently raised the question of double standards of U.S. policies based on a research paper published in America by a non-governmental organization, the Federation of American scientists. The paper suggests that homing programs of U.S. ballistic missiles should target 12 Russian facilities including the biggest centers of oil production, metallurgy, and the biggest power stations. Media commentators and some experts jumped to a conclusion that the U.S., setting the agenda for a new round of nuclear disarmament, is simultaneously prepareing a new doctrine of nuclear warfare, says Arbatov. He explains in the article that what has been taken for a step in an escalation of the nuclear threat to Russia is, in fact, reducing it greatly. Dismissing the paper as having no connection with actual U.S. government policy, the academic reminds the readers of the current state of Russian and American nuclear warheads: according to a bilateral decision, their homing computers are not armed, the targeting programs are stored separately from them. That means, however, that in the case of a crisis, if a decision to deploy nuclear weapons is taken, downloading the programs into the homing computers is not going to take much time. And these programs cover much more than 12 targets – they include cities with dense populations, industrial centers, and military installations all over Russia (and America – in the case of Russian warheads). What the American scientists are suggesting, explains Arbatov, is the reduction of the number of targets, and limiting them to a number of facilities situated in remote areas, far from the cities. Their idea concerns only the homing programs, and has nothing to do with downloading them into warhead computers. They only say, continues Arbatov, that with the planned reduction in nuclear warheads to numbers lower than 1700 – 2200 units to each side stipulated by the previous agreements, a reduction in the number of targets in each other’s territory is also due – and they offer their vision of the means to achieve that. The academic says that U.S. official policies as they usually are give us enough reasons for criticism, while the topic of nuclear weapons is serious enough to analyze every aspect of it thoroughly, without propaganda campaigns based on insufficient knowledge of the matter. ROSSIYSKAYA GAZETA writes that with the first Russian-American consultations on nuclear disarmament starting this week, Russian experts came up with a series of ideas for the disarmament process. In particular, they suggest that Russia and the U.S. may limit the number of sea-based ballistic missiles by emptying and sealing a few missile shafts on every strategic nuclear submarine belonging to either side (suggested by Aleksey Arbatov). The suggestion was announced at a meeting of the International Luxemburg Forum held in St. Petersburg. The Russian experts say that if, for the moment. the two sides can only speak of going lower than 1700 warheads each, in the near future they may agree on reductions to lower than 1500 units. A lot depends on how Russia and the U.S. solve the problems of missile defense, and of the degree of involvement of other nuclear powers in the non-proliferation and later – the disarmament process. American experts present at the same Forum say that with the new U.S. administration at the helm, it has become a true possibility that in the future, the U.S. and Russia can become political and military allies. In the same newspaper: Journalist Andrey Sitov writes from Washington that the new U.S. administration turns more and more to the methods of a command economy in its bid to save world capitalism from final collapse. He quotes experts, both Russian and American, who say that the current crisis has cost America one-third of its economy, just as happened to the Soviet Union right before it fell apart. The author says that if in the mid-1990s, the worst nightmare of a Liberal in Russia was the lack of private capital to purchase state property, the worst nightmare of an American statesman today is the lack of private capital that can be used to purchase enterprises on the brink of bankruptcy. The biggest of them will have to be nationalized – at least temporarily. In IZVESTIA, political scientist Vyacheslav Nikonov writes that the global crisis has hit the U.S., Russia, and China with more or less equal force. 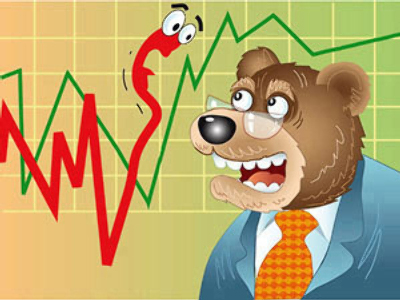 India was spared because of its lower level of involvement in the globalized world economy. The current situation, however, shows that China has somehow managed to maintain its economic growth in spite of its export sector’s dependence on the U.S. market, while both Russia and the U.S. are in recession. The writer says that it’s time to study the Chinese lesson in crisis management, as it is already clear that China is going to emerge from the crisis earlier than the other major players, and in a much better condition. The academic says the reason for such success is the flexibility of the Chinese economy, which saves itself by government investment in the leading industries, massive government spending in infrastructural and social security projects which create millions of jobs along the way, by stimulating domestic consumption of the produced export goods, and by ready availability of cheap loans for the population. Apart from that, says the author, China invests heavily in a series of bargain deals, purchasing assets and obligations all over the world, and maintains the role of the biggest donor to the U.S. economy. Let us agree, he concludes, that such an approach looks truly strategic.